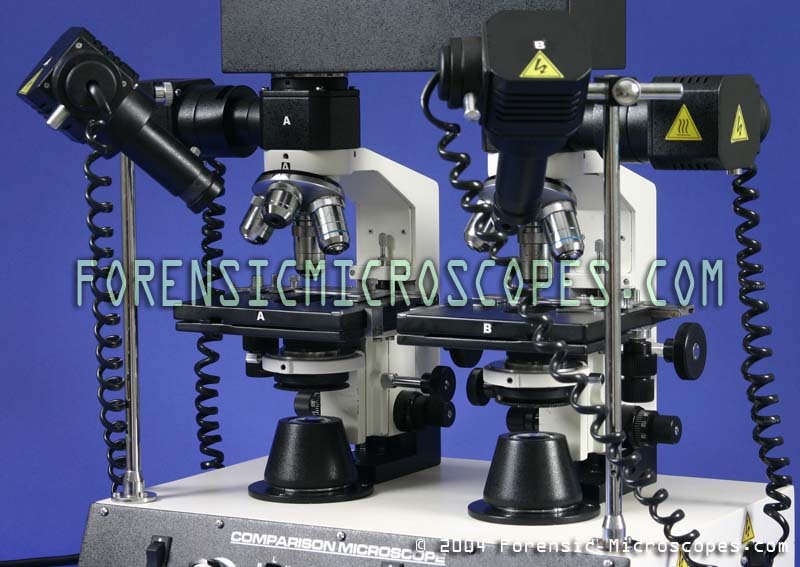 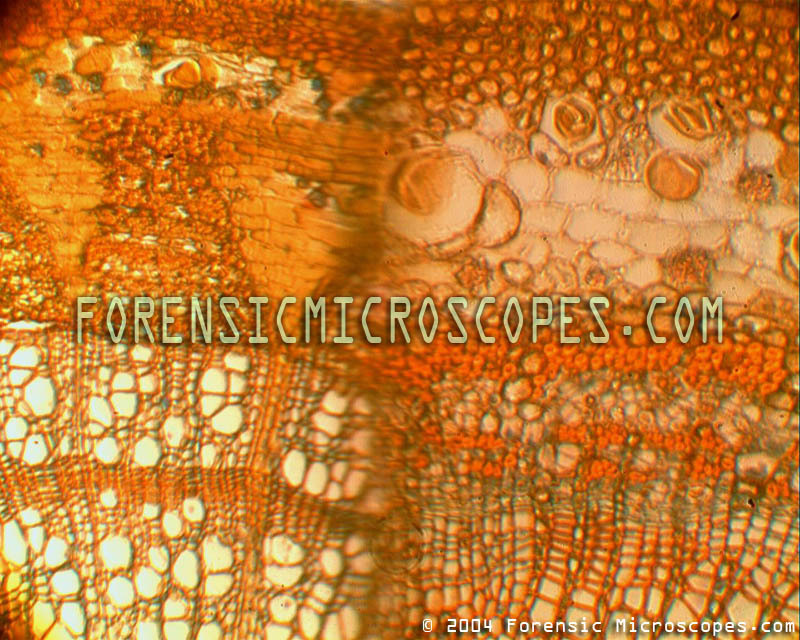 Professional High Power Forensic Comparison Binocular Microscope! 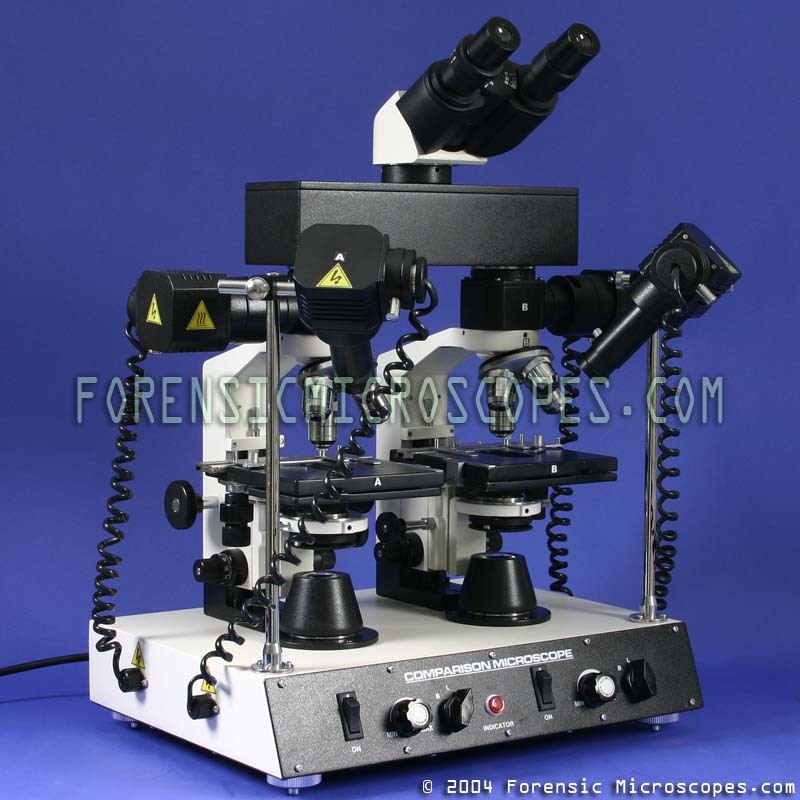 Great for High Power Microscopic Comparison of Specimens! 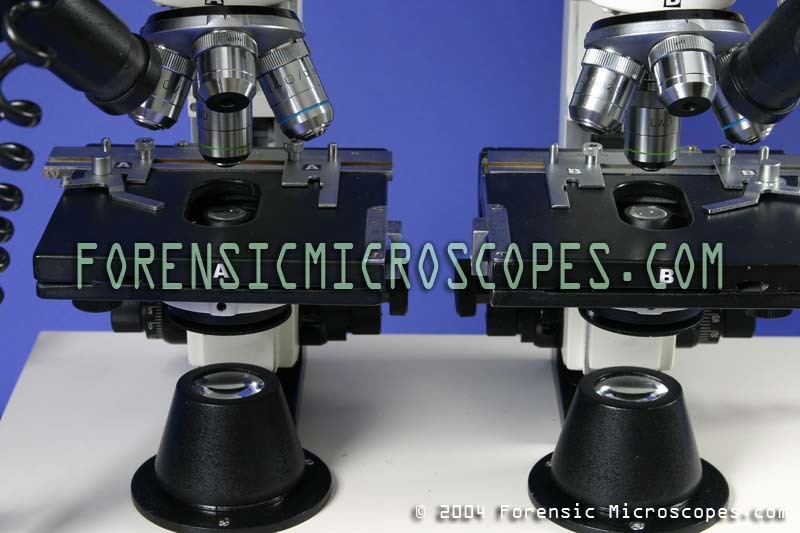 Image of Both Specimens is shown Side-By-Side in a Split Screen Viewing for Detailed Analysis. 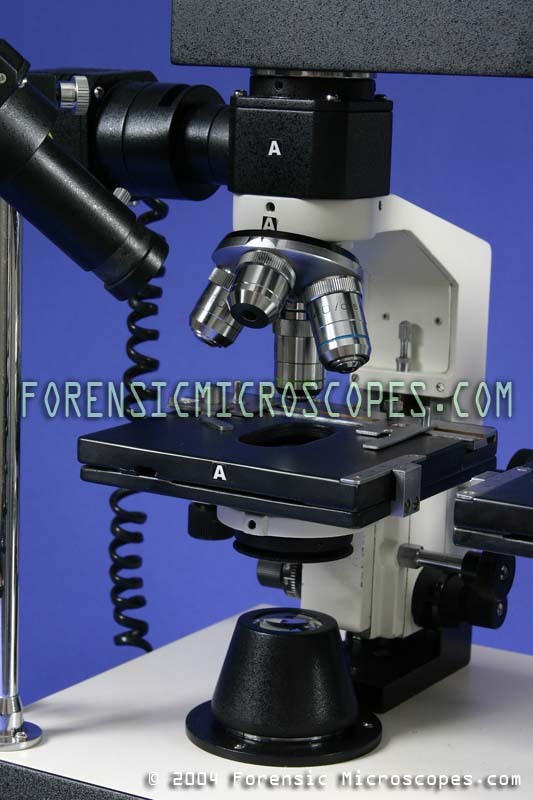 Perfect for Crime Scene Investigation and Forensic Science! 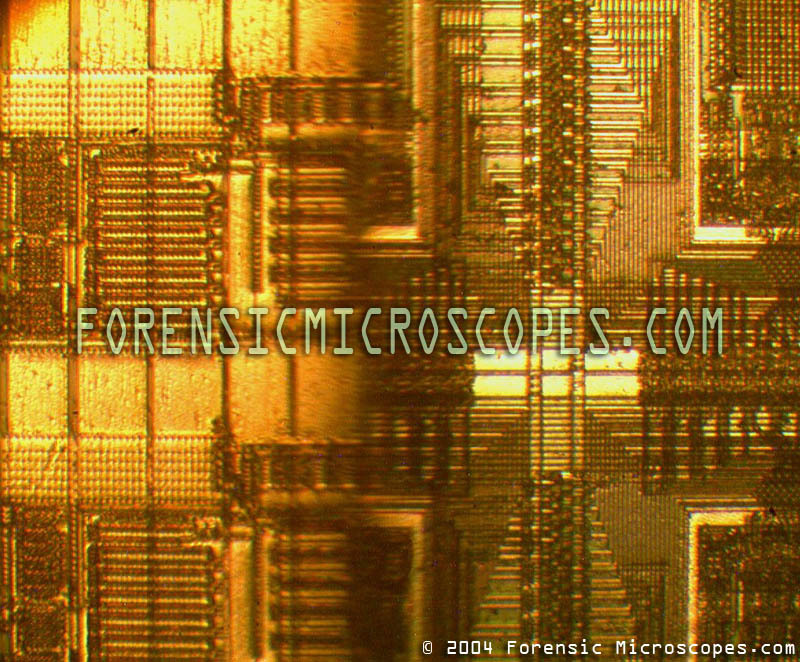 Analyze and Compare Bullets, Bullet Cartridge Casings, Scratch Marks, Wires, Fibers, Hair, Paint Fragments, and Biological Specimens. 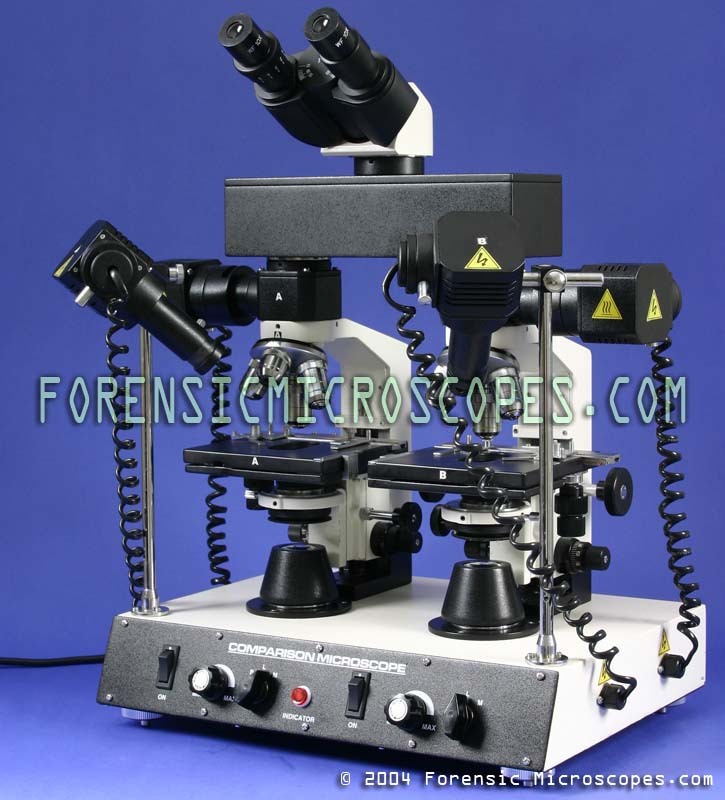 Each side of the unit is a fully functional microscope, with the ability to independently set the magnification and illumination. 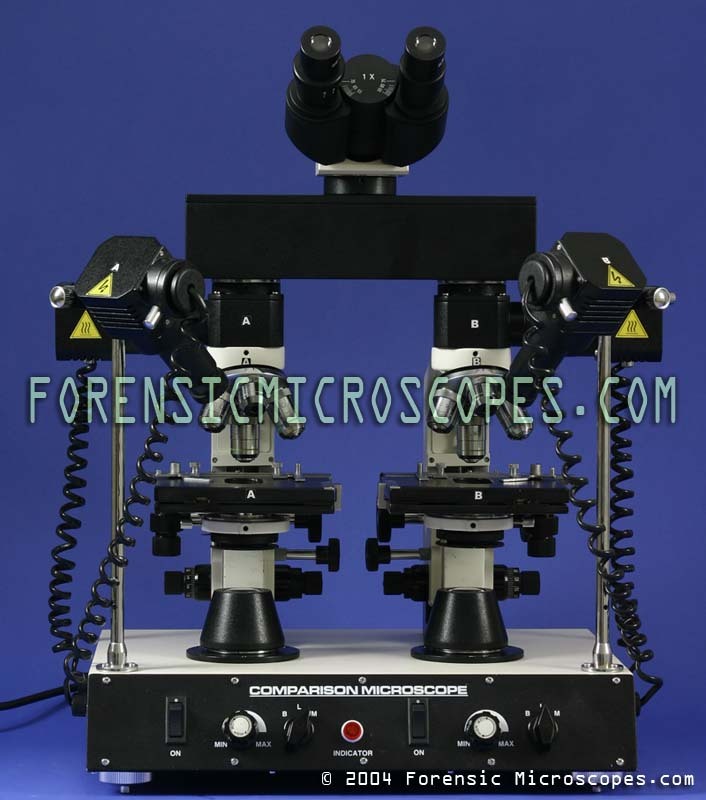 Three separate illumination sources are built into the unit: transmitted light from the base, incident light from side mounted lamps, and through-the-lens epi-illumination for metallurgical applications. 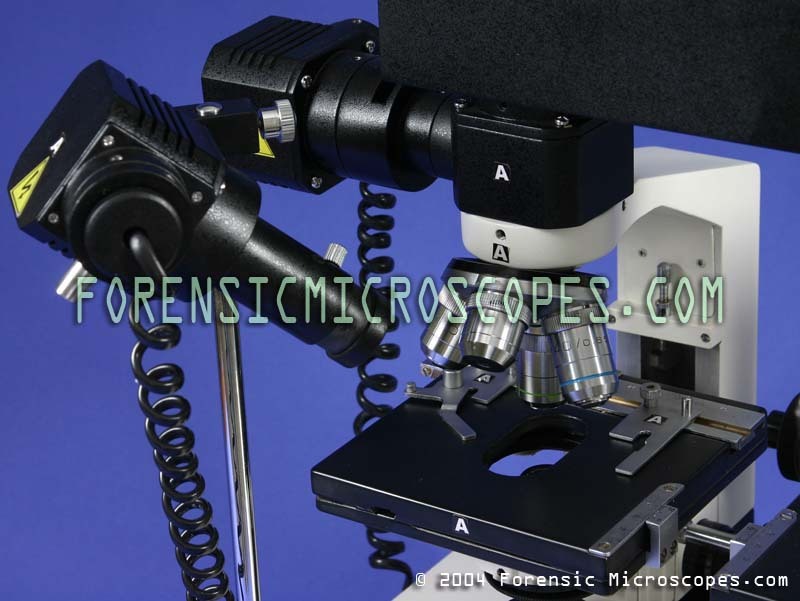 Low Position Coaxial X-Y Slide/Stage Movement Knobs - Range of Movement: 75mm (X-Direction) x 40mm (Y-Direction). 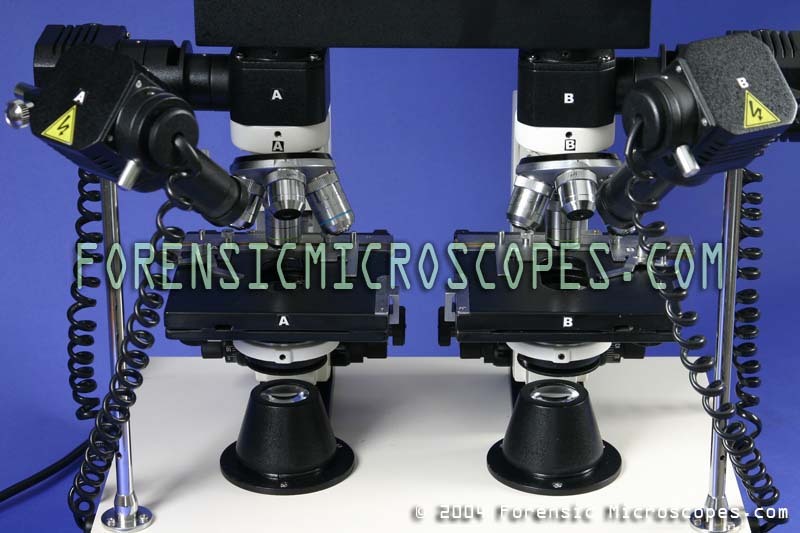 Optional 100x Oil Immersion Objective Lens Pair to give High Power 1000x Magnification using the WF10x Eyepieces. 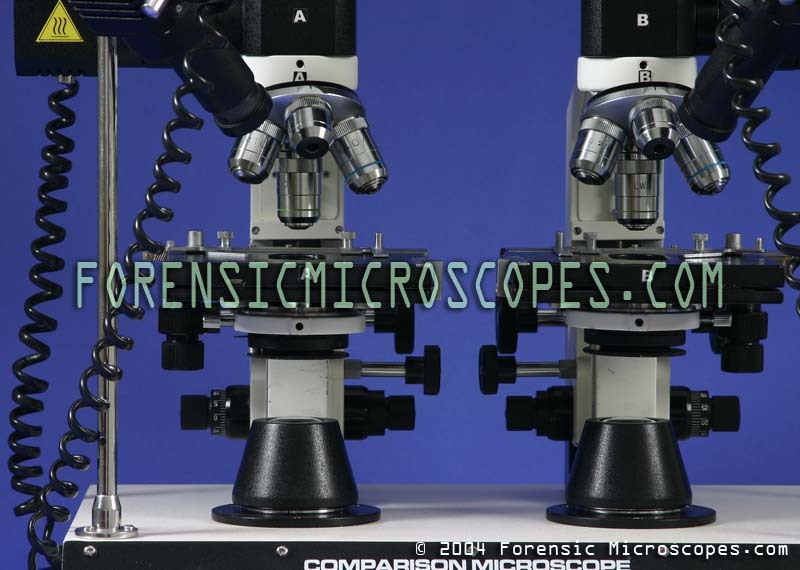 Forensic microscopy system for comparing two images simultaneously.